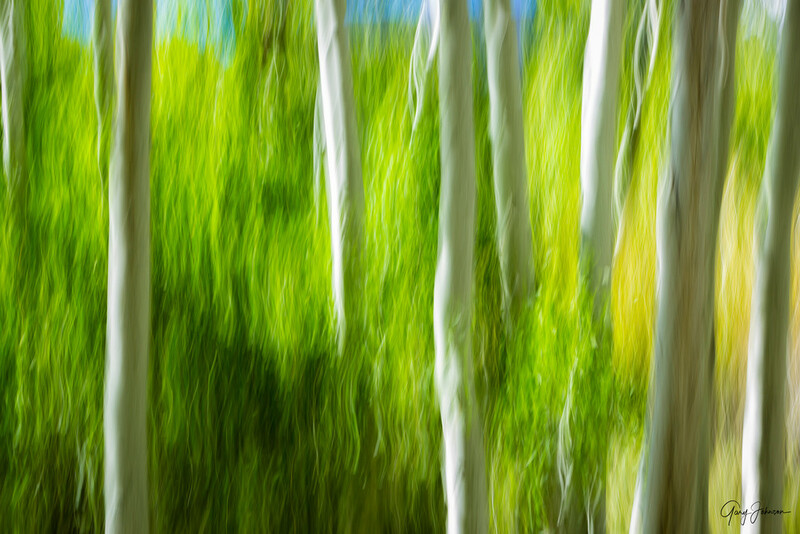 "Aspen Illusions" is a motion blur image taken in an Aspen Grove west of Bishop, California. This grove was just beginning to turn from green to yellow as I panned down with my camera from the top of the trees to the bottom using a long shutter speed. 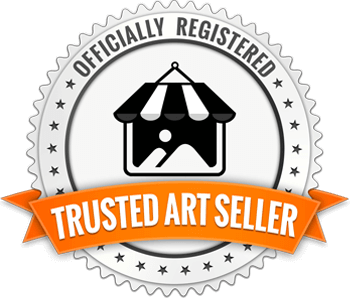 The effect becomes an abstract-looking image where the white tree trunks of the Aspens are still recognizable. The blue you see at the top of the image is the blue sky while the yellow color is from already-turning Aspens leaves in the background. I have many more of these similar images but no two are alike because of the speed at which I panned versus the camera angle at which each one was exposed.